While we strive to always provide the latest information and details about our product offerings on this website, please be sure to check with the hotel on any specifics that may be important to you. Information presented here is subject to change. Contents of this website only apply to Beachcomber Resorts & Hotels in Mauritius. Beachcomber carries out regular improvements to its existing accommodation and therefore room facilities or room layout of the reserved room may be different from the displayed photo. Once you have made your hotel reservation online, you will be asked to proceed with payment. In order to secure online payments in EURO, the beachcomber hotels website uses the internationally recognized PAYBOX secure payment system, which incorporates the SSL (Secure Locket Layer) security protocol. The PAYBOX payment interface also makes use of 3-D-Secure technology. Designed by Visa and MasterCard, this system authenticates cardholders and prevents fraudulent use of their bank cards. The 3-D-Secure system automatically redirects you to a bank interface where a code or personal piece of information provided separately by the bank must be entered after the card number, expiry date and cryptogram have been provided. Once authenticated, the transaction is then either authorized or declined by the bank. In order to secure online payments in USD, RMB and MUR, the Beachcomber Hotels website uses SBM (State Bank of Mauritius) secure payment system, which incorporates the SSL (Secure Locket Layer) security protocol. All confidential data (16-digit card number, expiry date and cryptogram) are transmitted directly in encrypted format to the payment gateway servers (of PayBox and SBM) without ever passing through any physical device within the Beachcomber Hotels server system. Once the bank details are validated, the secure payment management systems send an authorization request to the bank card network. The remote payment system then delivers an electronic certificate. In accordance with the provisions of articles 1316 et seq. of the French Civil Code, the electronic certificate shall serve as proof of the transaction date and amount and will be kept in the proper archives set up by Beachcomber Hotels. Dates and times contained on the server shall serve as official records for the parties. Kindly note that making an online payment implies that you are fully authorized to use the bank card provided for payment and that you have sufficient funds to cover the total cost of the transaction. For all transactions, payment of the booking shall constitute signature and express acceptance of the sale with all that is included in the price. All prices listed on this website are in EUR/ USD/ MUR, unless specified otherwise. Promotions displayed on this website can be changed or withdrawn without prior notice. Blackout dates may apply. After you have cancelled a booking, you will receive an email to confirm your cancellation at the e-mail address you provided at the time of booking. To prevent any fraud, refunds (when applicable) will only be made to the credit card used to secure the booking. Clients arriving on delayed flights but leaving on scheduled date of departure: New Mauritius Hotels Ltd will charge the full amount of the stay. The hotel will charge for the whole stay with no compensation. The hotel will charge 50% of the Public rate for the extra nights (as per the meal plan chosen by the client). This is to be paid directly at hotel before departure. All websites designed by and managed by Beachcomber Hotels may feature links to other sites operated by third parties. 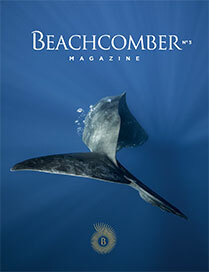 Beachcomber Hotels is not responsible for the privacy practices or the content of such web sites. While every precaution has been taken, we cannot ensure that a third party will not unlawfully access private details and we advise you to take all necessary precautions and suggest that you do not permit others to access your personal codes or passwords. Kindly note that prices displayed on our website are subject to change in the course of the season and may differ from prices published elsewhere. When using our website, you accept that prices published elsewhere may differ from yours at the time of booking. Subject to our confirmation, and also to your provision of valid and correct credit card details for payment, your reservation will be irrevocably binding upon your clicking on “Confirm” on our website. Please read and check carefully all the information contained in our confirmation email to ensure that it conforms to your reservation. You are required to present our confirmation email when checking-in at the hotel, in addition to a valid passport. We suggest you inform yourself about the entry/visa requirements before making your reservation. NEW MAURITIUS HOTELS LTD (Mauritian-based Company listed on the Mauritius Stock Exchange SEMDEX) operates under the trade name Beachcomber Hotels.